Happy July! Rachel here to bring a bright, fun, summery inspiration Wednesday. 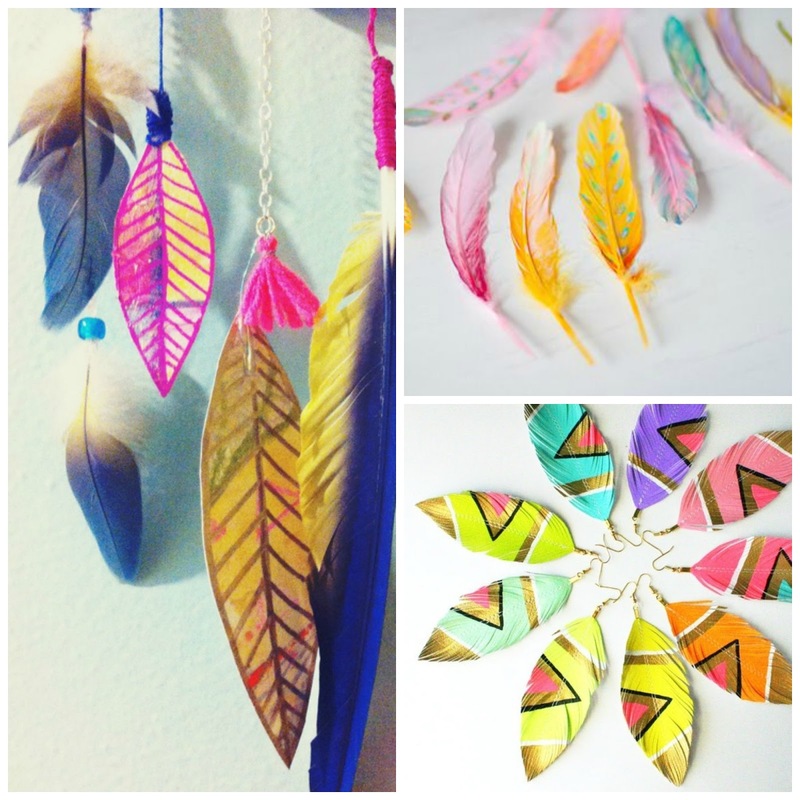 I've noticed lately that feathers are a big trend in our paper crafting world. Not typical everyday feathers, but feathers dipped in neon paint, dotted with bright gems, or covered in glitter. Here's a little collage I whipped up of some neon feathers. 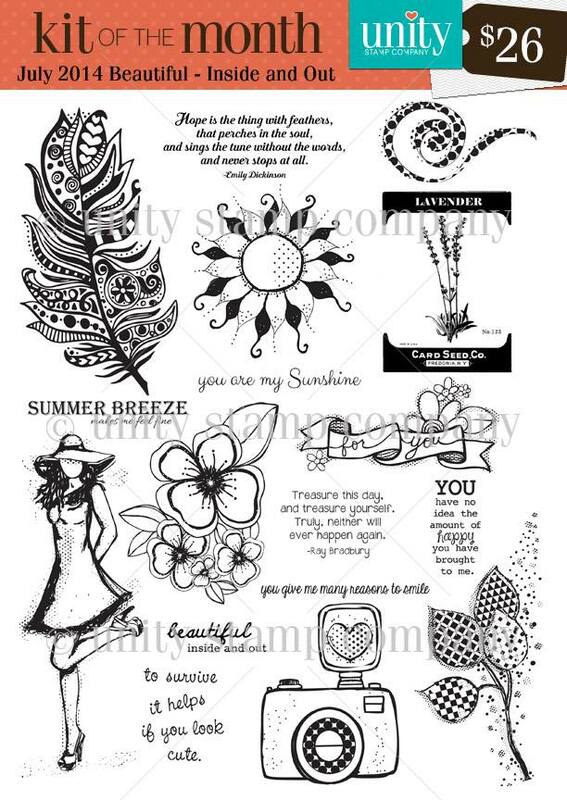 Lucky me, the new Kit of the Month has this gorrrrrrgeous intricate feather stamp that quickly became my new obsession. I colored the feather with Copic markers in neon blues, greens, pinks, and yellows. For the background I used stencils with neon Dylusion spray inks. Then I layered modeling paste on top, which I tinted yellow with spray ink. The sentiment is stamped in multiple ink colors to mimic the rest of the card. That's it from me today. I would like to wish everyone in the U.S. a very happy 4th of July weekend!